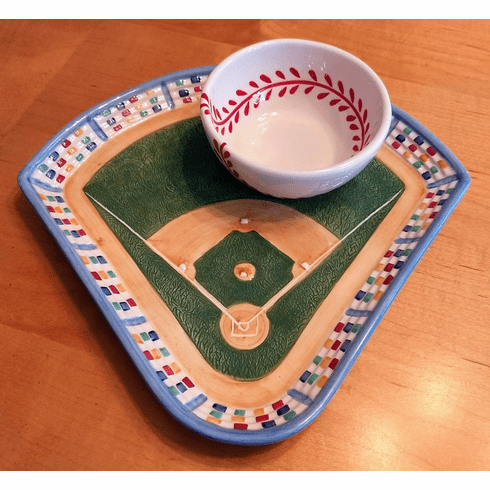 Baseball field shaped chip and dip 2-piece set. Hand painted. Ceramic. Retired design from 2007. Small field measures appx. 10" x 10.5"...perfect for cheese and crackers too! Removable baseball dip bowl measures appx. 1.75" tall x 4.25" in diameter. Dishwasher, Microwave and Over Safe/FDA approved.